Detoxification is the removal of harmful waste substances from your body. Along with eating healthy and working out to stay fit, it is important to add food items to your diet that will help cleanse the internal organs of your body. 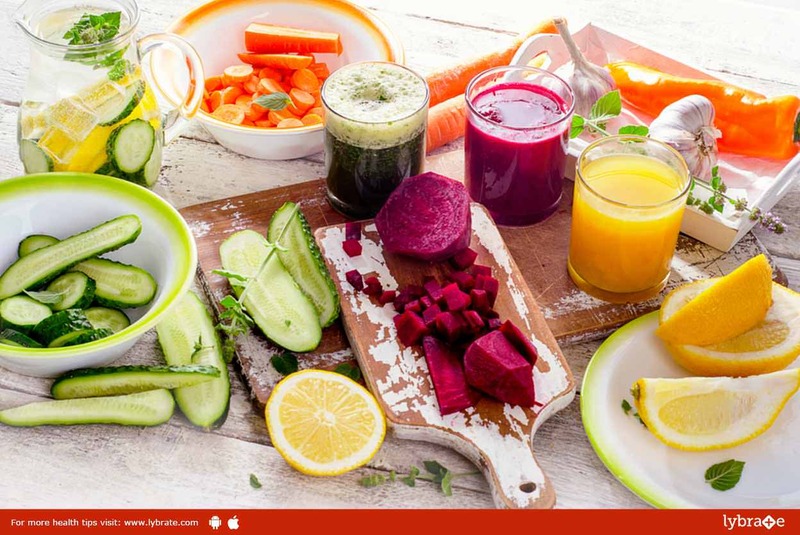 Here are the top 5 food items which will make you feel fresh and lighter within a week. 1. Asparagus: Apart from satisfying your taste buds, asparagus also ranks high on the detox meter. It helps in detoxification of your body along with imparting a range of other benefits such as prevention against cancer, liver drainage, anti-aging, etc. 2. Beets: Beets impart a number of benefits to your body. If you have been eating beet only once in a while in salads, you must increase your beet consumption and add them to more of your meals if you are looking for natural detoxification agents. 3. Broccoli: Broccoli is a powerhouse of nutrition and it tops the list of superfoods for any health concern. It functions with the enzymes of your liver and converts them into something that can be easily excreted out of the body. 4. Turmeric: Turmeric has been highly valued by Ayurveda for its medicinal properties. Along with its anti-inflammatory and antioxidant properties, turmeric helps detoxification of liver from harmful compounds. It has been seen that a tablespoon of turmeric consumed daily can keep your insides clean. 5. Flaxseeds: Flaxseeds are known to keep a number of diseases at bay. They are a rich source of nutrients that help in cleansing your internal organs. They also prevent reabsorption of cholesterol from your colon and facilitate smooth bowel movements. Sprinkling a few tablespoons of flaxseeds to your daily meal can work wonders for your health. ← In Vitro Fertilization (IVF) – How It Works?